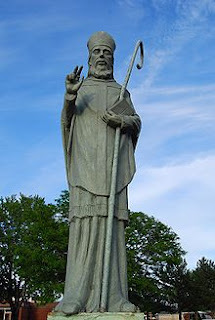 When was St. Malachy Born? 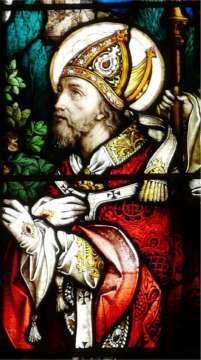 Where was St. Malachy Born? When and where did St. Malachy Die? 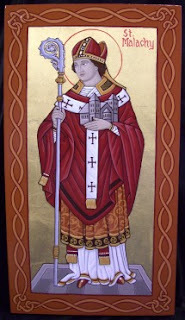 What did St. Malachy do? 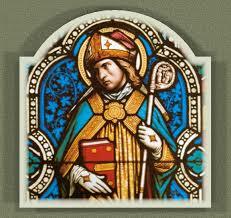 St. Malachy was bishop of Down, Ireland from 1124 to 1148 and bishop of Connor from 1124 to 1136/1137. He was also bishop of Bangor, Ireland. What is his Irish name? 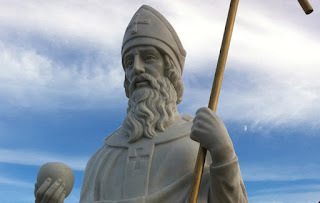 How do we know about St. Malachy? Much of our knowledge of this saint comes from St. Bernard of Clairveaux. 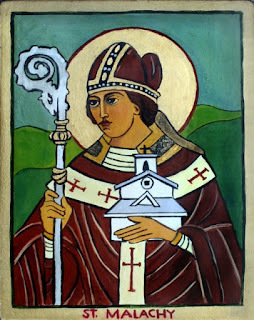 What is St. Malachy the Patron Saint of? When is St. Malachy's Feast Day? 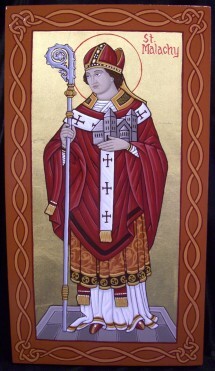 St. Malachy's Feast Day is 1 day after his death, on November 3, 1148.